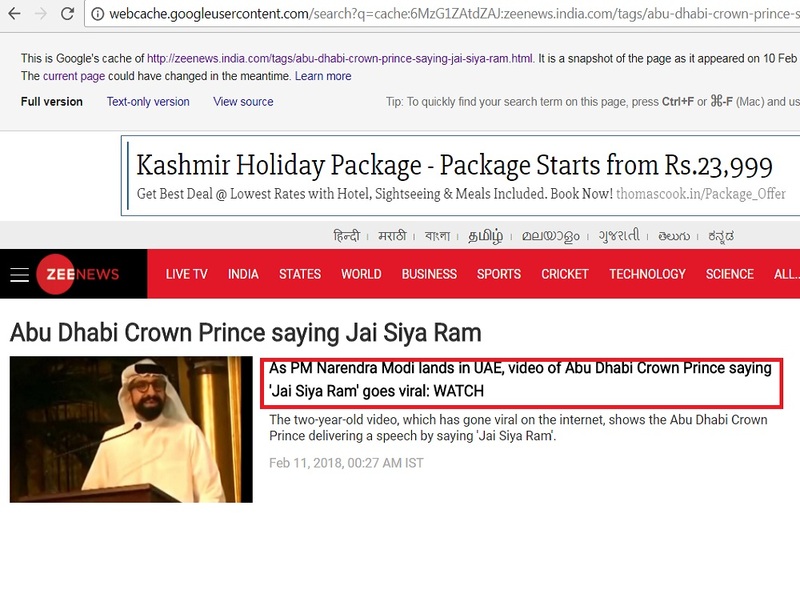 No that’s not Abu Dhabi’s crown prince saying ‘Jai Siya Ram’. Indian media gets it horribly wrong on the international stage. 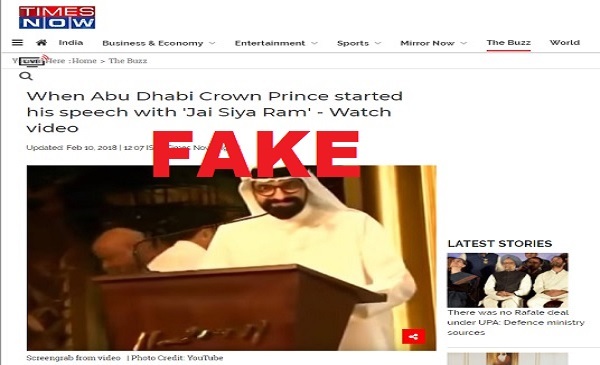 Several mainstream Indian news outlets scrambled to save face over the weekend after wrongly attributing an Emirati columnist saying ‘Jai Siya Ram’ in a two-year old video, to Shaikh Mohammad Bin Zayed Al Nahyan, the Crown Prince of Abu Dhabi. Times Now later updated its story after being called out on Twitter but did not issue a correction. Zee News has killed the story all together. 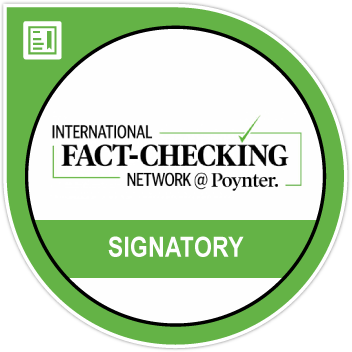 Fake News and propaganda website Postcard News also repeated the mistake. The video and stories was promptly lapped up on social media. 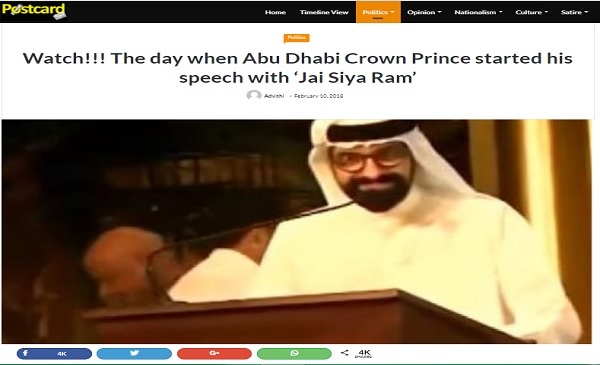 In the below video, the host introduces the person saying ‘Jay Siya Ram’ as the Sheikh Sultan and not the Abu Dhabi crown prince Sheikh Mohammed bin Zayed Al Nahyan. Sultan Sooud Al Qassemi is a UAE-based columnist and a prominent commentator on Arab affairs. Below is a tweet from the crown prince’s official Twitter handle. 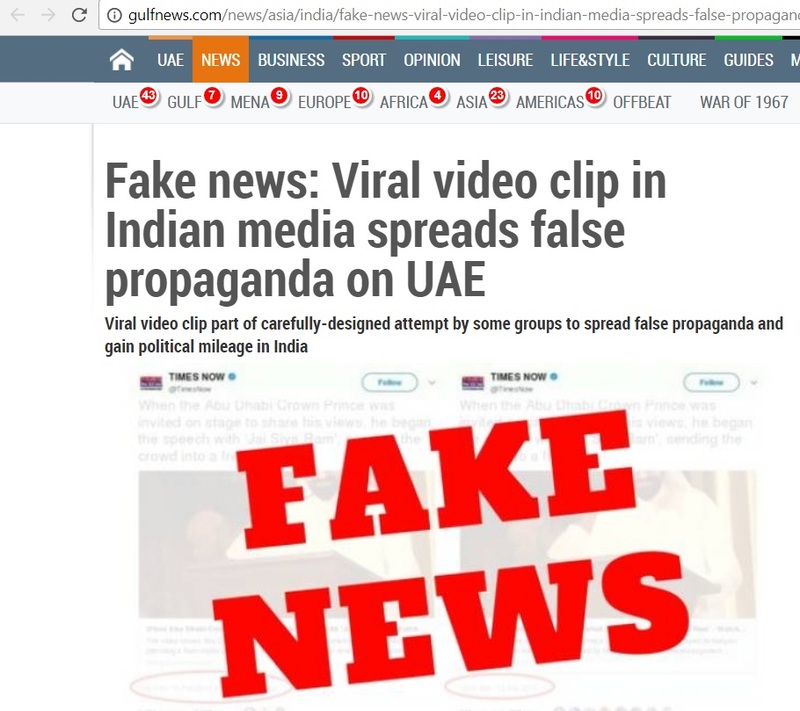 The gaffe by Indian news outlets has not gone unnoticed by international media. 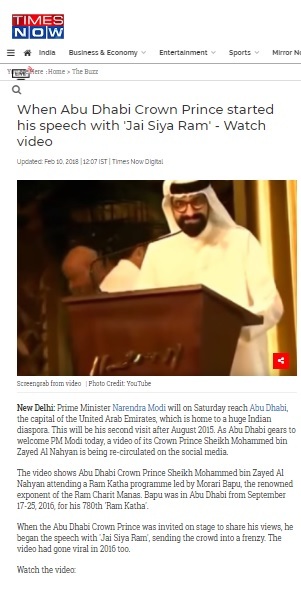 Gulf News has published a scathing article hauling up Times Now and Zee News for the error.